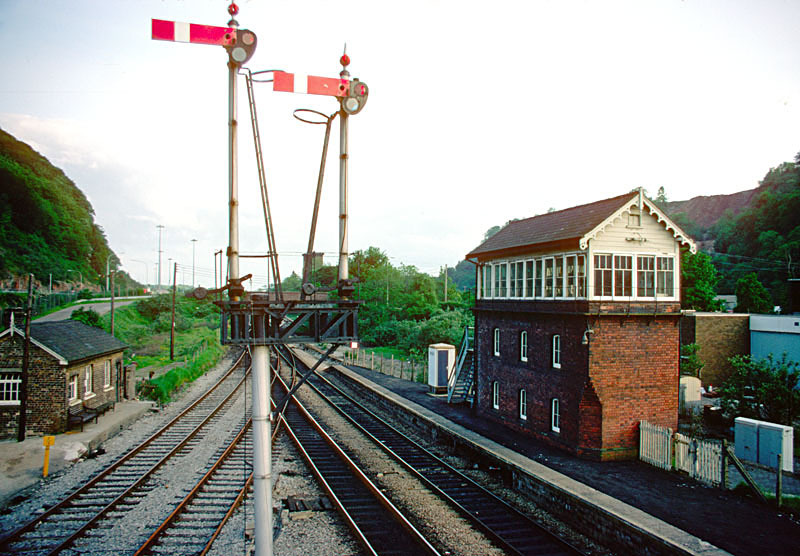 Walnut Tree Junction signalbox controlled two junctions at Taffs Well on the ex-Taff Vale Cardiff-Merthyr Tydfil line. 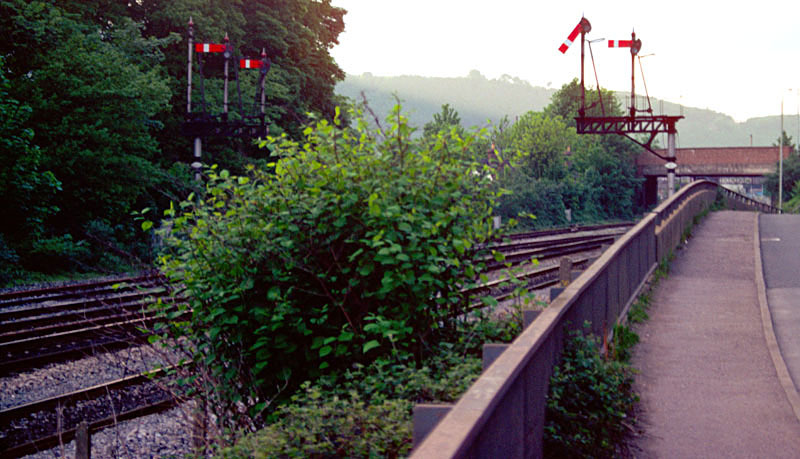 At Walnut Tree Junction itself, the "big hill" up to Aber Jct on the Rhymney valley line diverged. 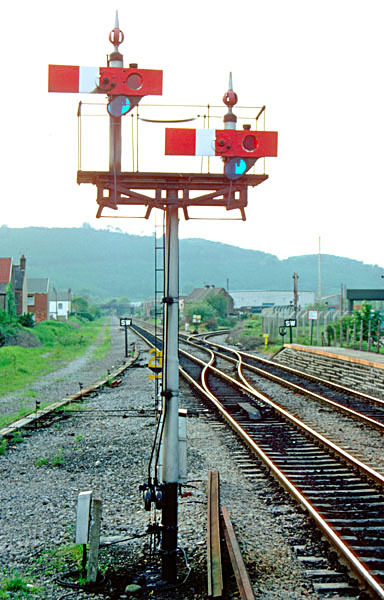 The signal in the foreground is the down main innerhomes bracket. 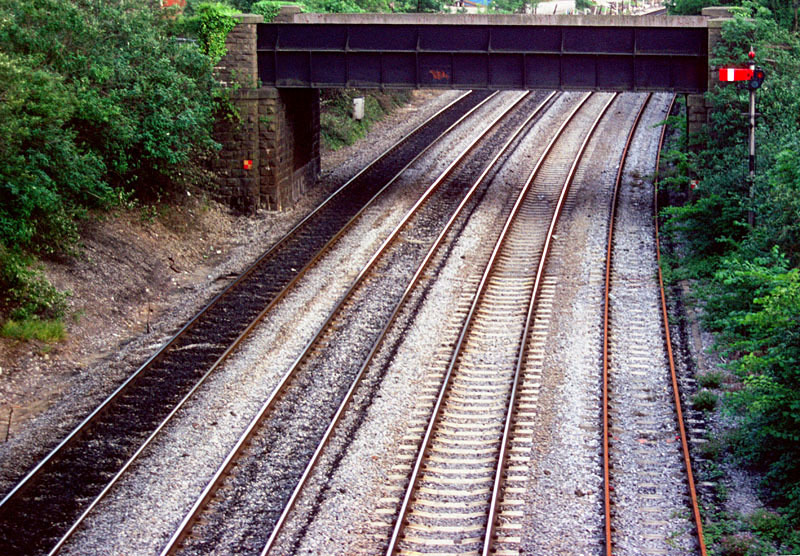 South of the station, there were still four tracks between here and Radyr Junction. 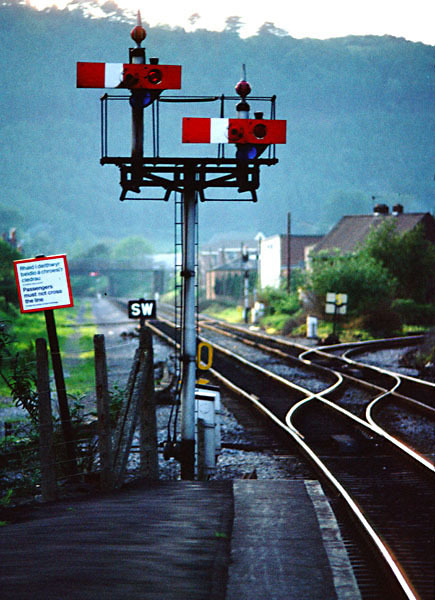 The up relief line (far right) had by now been relegated to a siding, though its signalling at this end was still extant. 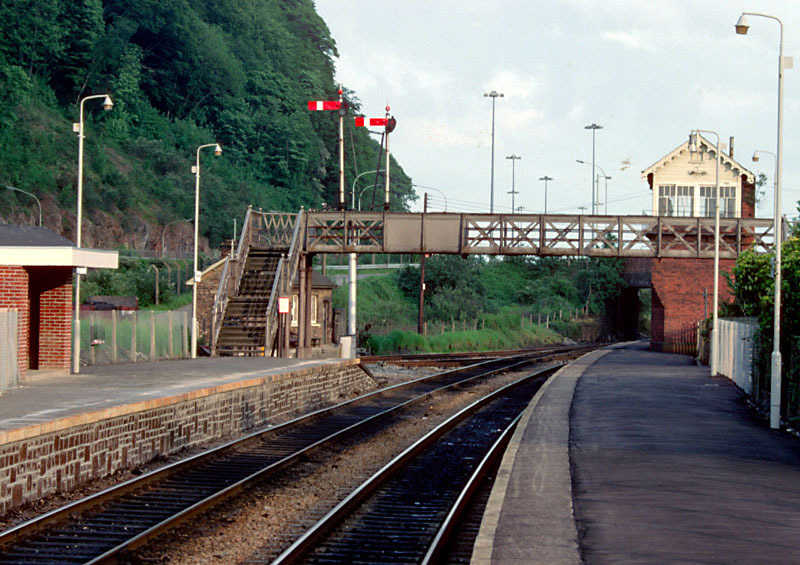 The view towards Aber Jct. 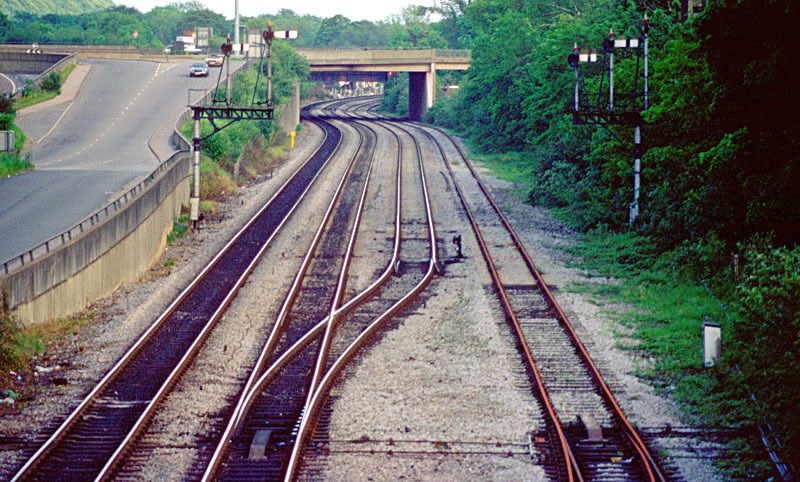 The line on the right formerly led to some sidings on the down side, but had since been reduced to a runoff siding. 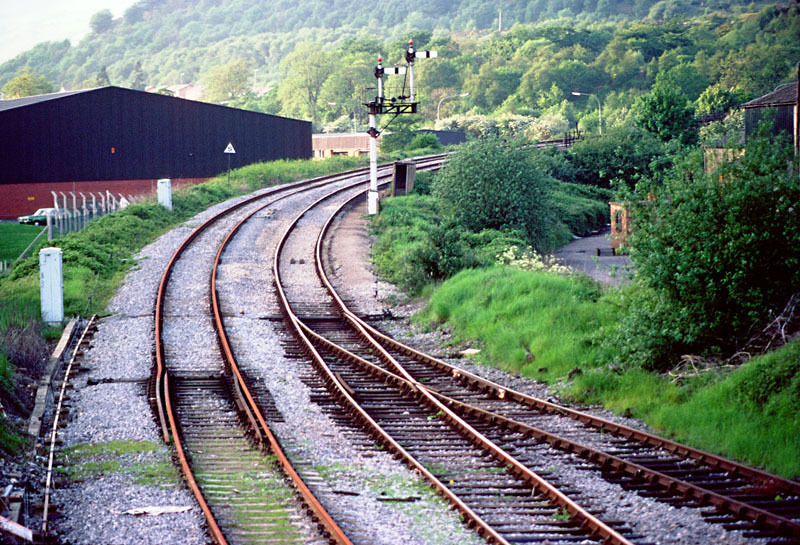 At the north end of the station a branch to Nantgarw colliery also diverged. The up starters were this fine centre-pivot bracket. 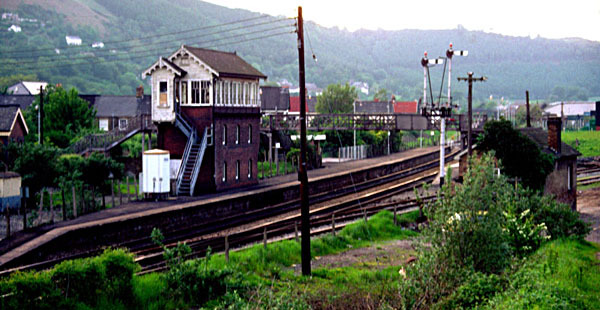 The view through Taffs Well station. 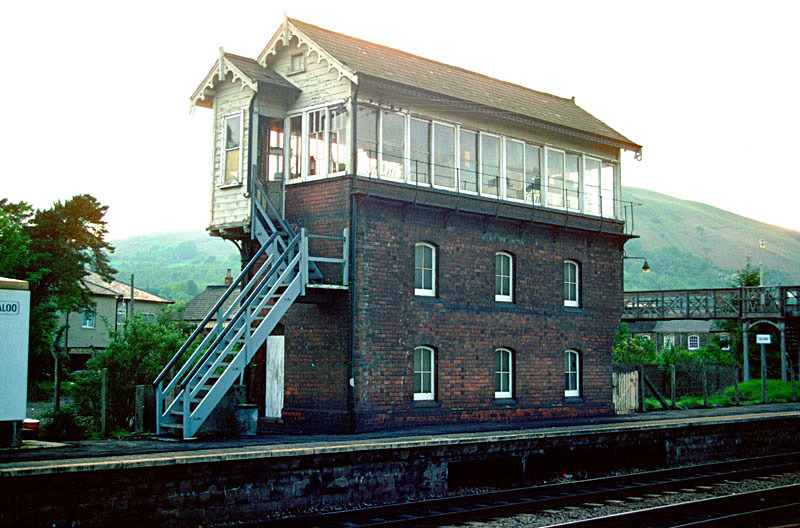 The superb Taff Vale signalbox. 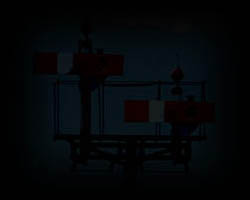 I am guessing this signal was the down relief starter. Odd that there appears to have been no down main counterpart. Beyond the up starter, the down home and up advanced starter can just be made out.